Great looking leather Rucksack from Italy. 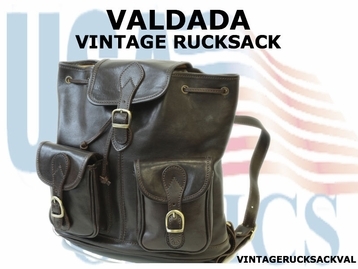 Has a top leather handle with a 3.5 inch drop and also leather adjustable shoulder straps. Leather lined interior with zippered pocket. Leather drawstring, cinches at the front of the bag. Two roomy front pockets secured by elegant buckles with leather straps. Fold over flap cover secured with a front buckle.